HONOLULU (AP) — Hawaii said Tuesday that it aims to be the first state to have marijuana sales handled without cash, saying it wanted to avoid robberies and other crimes targeting dispensaries. All of Hawaii’s eight licensed dispensaries have agreed to go cashless by Oct. 1, the governor’s office said. The dispensaries will ask patients to use a debit payment app to buy their pot instead of cash. The app is already an option for marijuana transactions in six states, including California and Colorado. Iris Ikeda, the state’s financial institutions commissioner, told reporters at a news conference that state officials haven’t discussed whether people wanting to pay in cash will be turned away from dispensaries. “Oct. 1 is our target date to try to go cashless as much as we can,” Ikeda said. Helen Cho, director of the Honolulu-based Aloha Green dispensary, said dispensaries won’t be required to go cashless and the company won’t turn away patients who want to pay in cash. The dispensary will be encouraging people to use the cashless system, she said. Many marijuana businesses use cash because banks fear pot money could expose them to legal trouble from the U.S. government, which regulates banking and still bans marijuana. The debit app called CanPay uses a Colorado-based credit union to facilitate transactions. The Hawaii dispensaries will set up accounts with the credit union, called Safe Harbor Private Banking. Under the cashless system, customers use their checking accounts to pay CanPay, which sends the payment to Safe Harbor. Hawaii was still working on allowing prepaid, stored-value cards to be used an alternative for people who don’t have checking accounts, Ikeda said. Becky Dansky, legislative counsel at Marijuana Policy Project, a Washington-based organization that aims to change federal law to allow states to determine their own marijuana policies, said it’s good to find alternatives to dealing with large amounts of cash. But she said it’s a concern that Hawaii’s program will rely on one specific system, given the risks of a hacker attack or a company going out of business. Hawaii was among the first states to legalize medical marijuana in 2000. But the state didn’t grant licenses to any dispensaries until last year. Maui Grown Therapies became the first to open last month after the state Department of Health gave it approval to begin sales. But most banks don’t see those rules as a shield against charges that could include aiding drug trafficking. They say the rules are difficult to follow, placing the burden on banks to determine if a pot business is operating within the law. There is also uncertainty over how the Trump administration will react. Attorney General Jeff Sessions has said he wants to crack down on the legal marijuana industry. Credit card companies like Visa and Mastercard say they won’t allow their cards to be used to buy cannabis or marijuana-related products. Patients who don’t own smartphones will have to create CanPay accounts with an email address and personal identification number. Patients will be able buy pot by logging on to their accounts with computer tablets at the dispensaries. 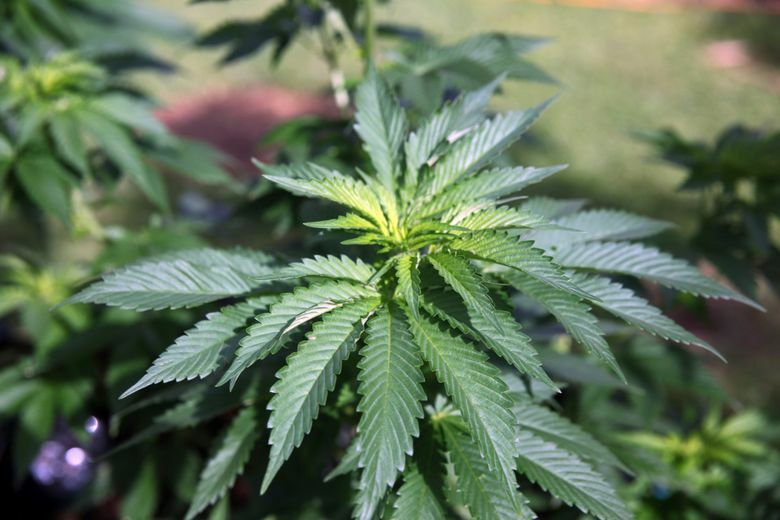 This story has been corrected to say that Hawaii is not requiring cashless marijuana sales.